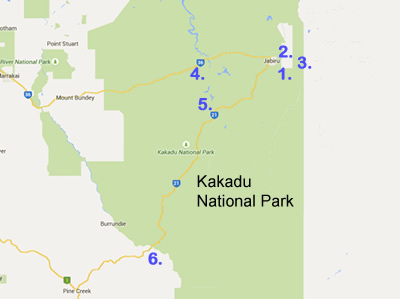 Kakadu offers a range of accommodation from bush camping to caravan sites and deluxe accommodation. If you are driving a motorhome or towing a caravan there are a number of sites available throughout the park. 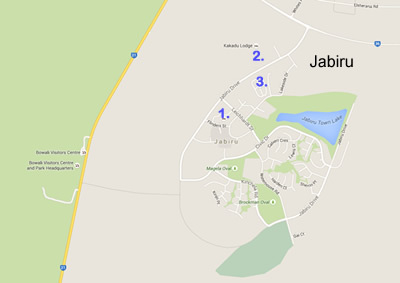 3 free bush camping sites adjacent to the respective billabongs with the same name. 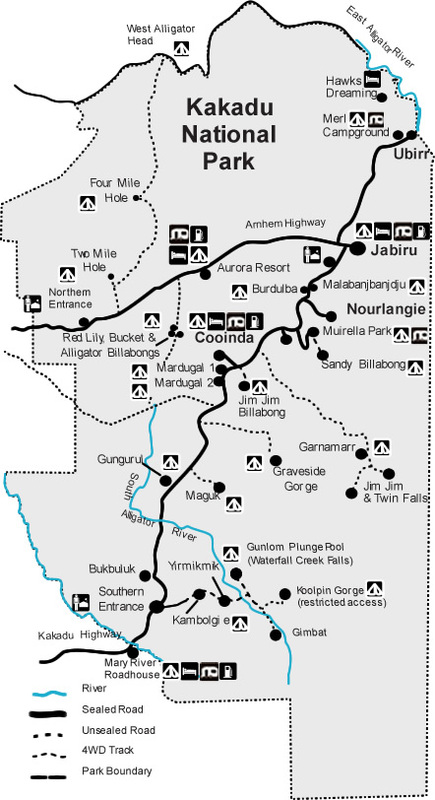 High Clearance 4WD with snorkel Dry Season access only basic bush camping sites no toilets no fresh water. Spacious Campground suited to both tent, campervan & camper trailer sites (not suited to large vans). Well maintained facilities including flushing toilets, hot shower, drinking water, BBQ, picnic table. camping fees apply. No generators, Crowded during peak season get in early. Check wet season access large managed camping area suited to both tent, campervan & camper trailer and caravans (not suited to large vans). Well maintained facilities including flushing toilets, hot shower, drinking water, BBQ, picnic table. Camping fees apply, No generators, Crowded during peak season get in early. Check wet season access managed camping area with well maintained facilities including flushing toilets, hot shower, drinking water, BBQ, picnic table. Camping fees apply, Generator and non generator area. Restricted accesss small campground designed to protect the serene visitor experience. camping being restricted to a small number of people at any one time. Camping is regulated by a permit system through the Park Permits Officer. Check wet season access large managed camping area suited to tents, campervan & and caravans/camper trailers. Well maintained facilities including flushing toilets, hot shower, drinking water, BBQ, picnic table. Camping fees apply, Generator and non generator area. Dry Season access only, 4WD access only this managed campground is the main campground for Jim Jim Twin Falls Well maintained facilities including flushing toilets, hot shower, drinking water, BBQ, picnic table. Camping fees apply, non generator area. Dry Season access only, permit required to camp overnight camping facilities incl fresh water, composting toilets and a picnic area with fireplace.